Great gifts for the Bride & Groom! With lots of bridal showers and spring weddings coming up, I wanted to show you some of the new items we have at Winston’s Gift Shop! 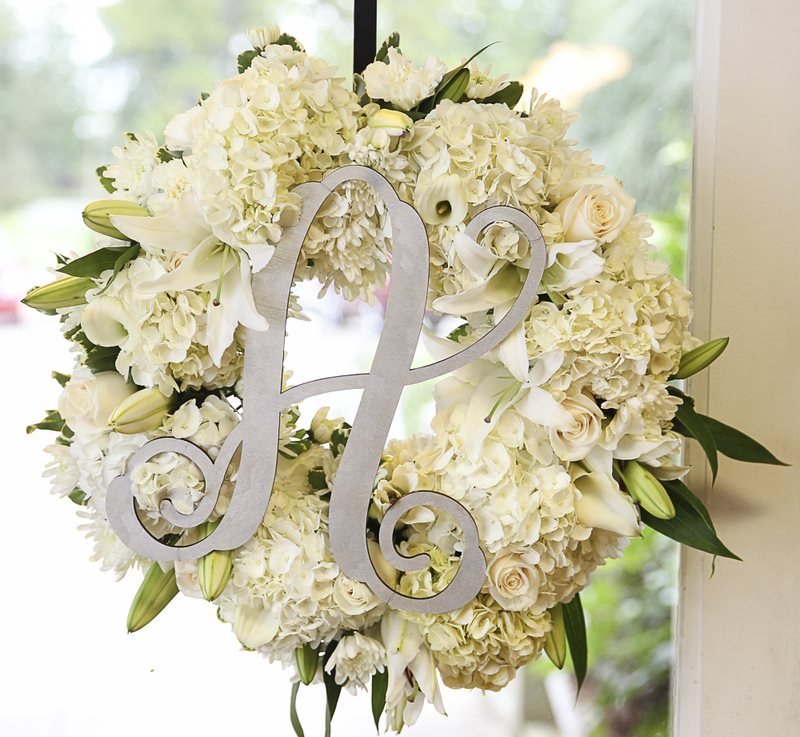 Perfect for the new bride & groom! 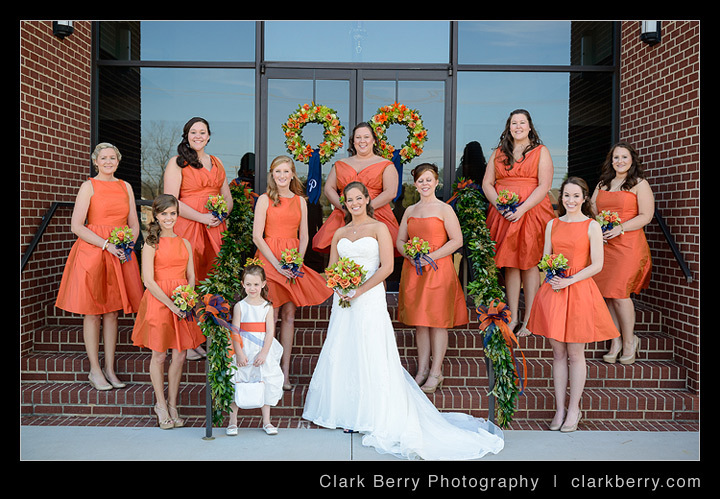 I am excited to write a blog post about one of my favorite Brides! 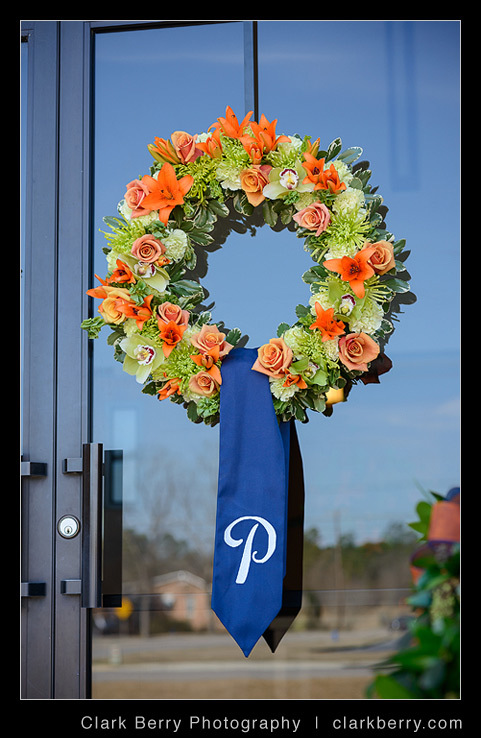 We have been doing flowers for Leigh and her family for over 10 years and have provided flowers for many special occasions in Leigh’s life – Birthdays, Proms, High School and College graduation parties and more! It has been fun to watch Leigh grow up and see what a beautiful young woman she has become! We were very excited to get the call that Leigh and Grant were engaged and a date had been set – March 16, 2013! Before we even met Grant, we figured he must be a pretty special guy, and of course he is! It is neat to see how much they love each other and we wish them much happiness in their future together! Ok, so let me tell you about the wedding! 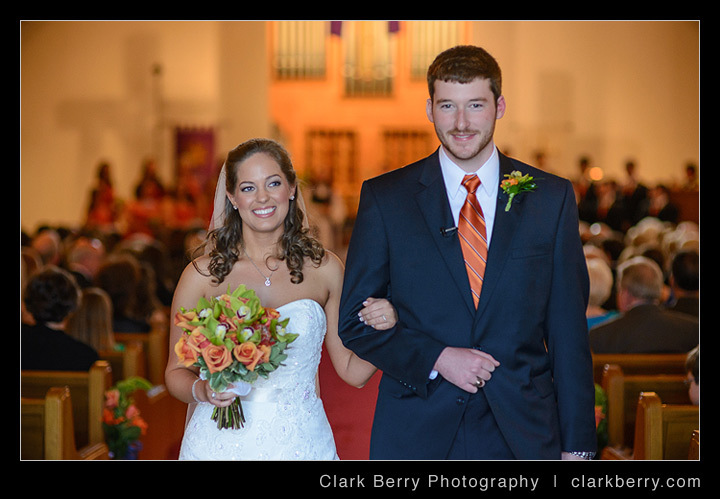 The ceremony took place at St. James Lutheran Church in Lexington and the reception was held at 701 Whaley in Columbia. This wedding was a LOT of fun for me – A bride that loves flowers, a bride that I have a history with and know her style and taste and a bride that trusts me and lets me take her ideas and vision and run with it! 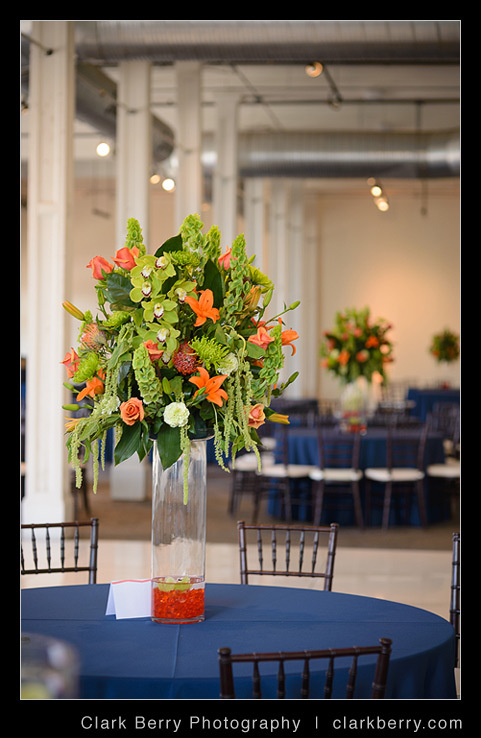 Orchids are Leigh’s favorite flower and the wedding color scheme was orange, green and navy – beautiful! 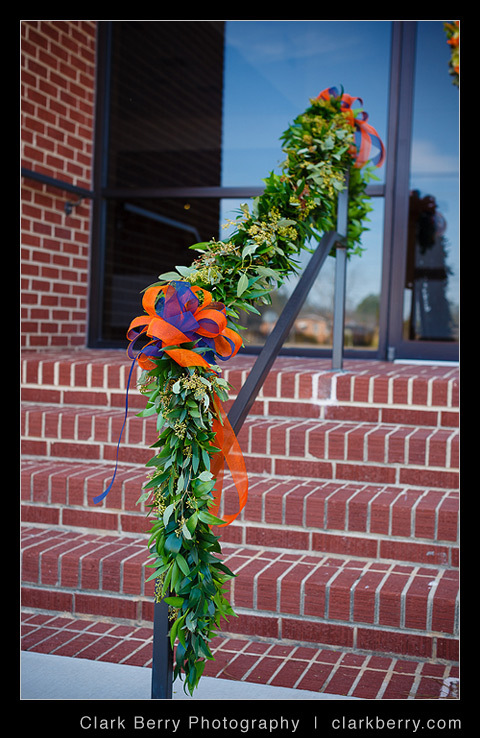 For the church, we hung wreaths on the doors and garlands on the front railings. 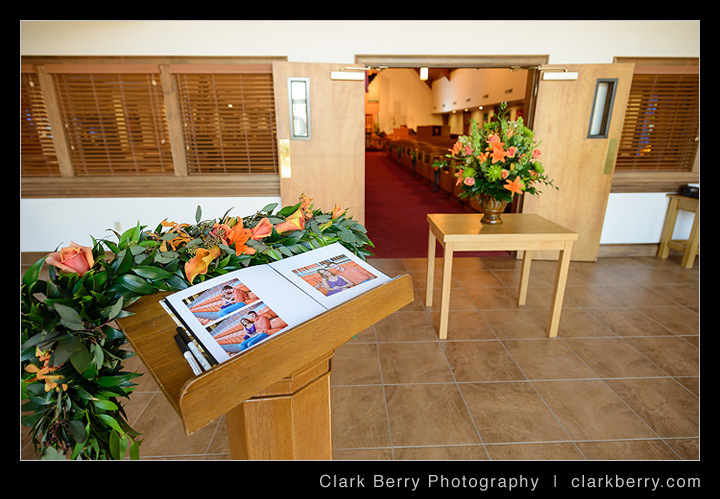 We also made an arrangement for the narthex and a garland to go on the guestbook stand. 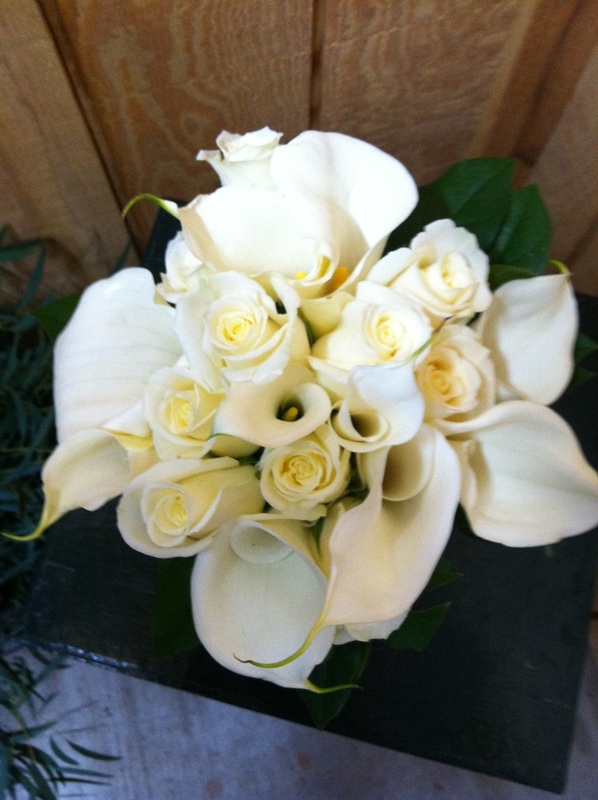 Along the aisle, we added bells of ireland, roses and lilies tied with navy ribbon to the pews and we made arrangements to go on either side of the altar. 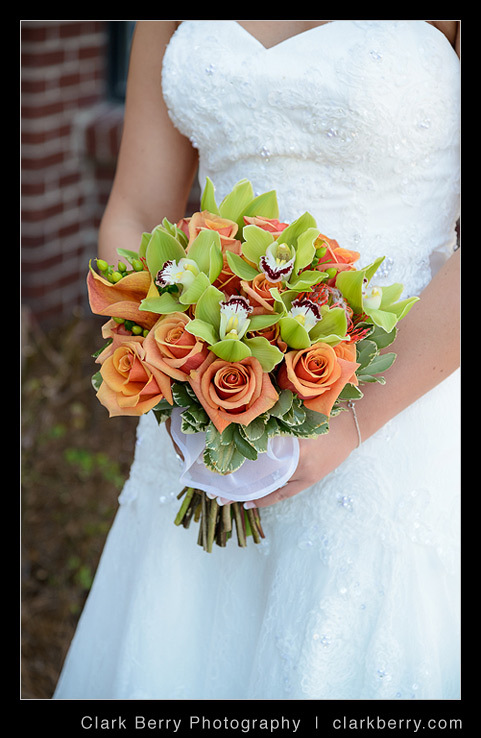 Leigh carried green cymbidium orchids, orange “chilis” roses, protea, “flame” calla lilies and green hypericum berries. Her bouquet was wrapped with a piece of her Mother’s wedding dress. How special! Leigh’s nine bridesmaids carried orchids and roses. As a special touch we added a rhinestone initial to the ribbon for each Bridesmaid! 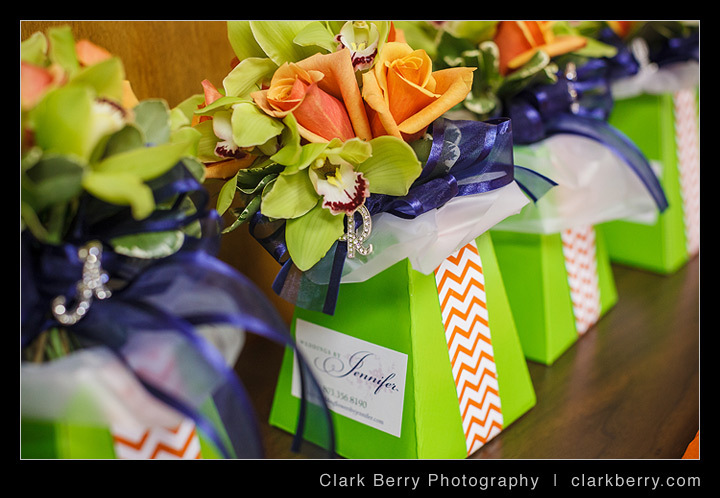 The boutonnieres were made with orange ranunculus and green hypericum berries. We added an orchid to Grant’s boutonniere, of course! Okay, on to the reception! We made two different style arrangements for the guest tables. 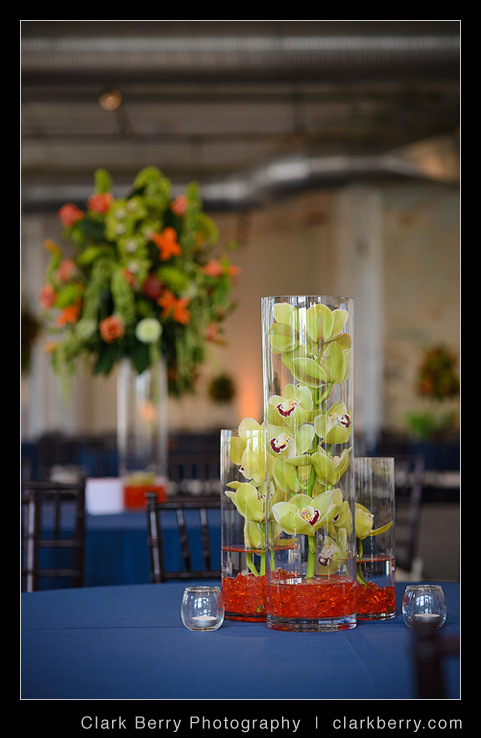 One was a trio of cylinder vases with green cymbidium orchid stems and orange gems at the bottom of the vase. The other style was a tall arrangement on a cylinder vase, that included bells of ireland, cymbidium orchids, roses, green fugi mums, protea and green hanging amaranthus. 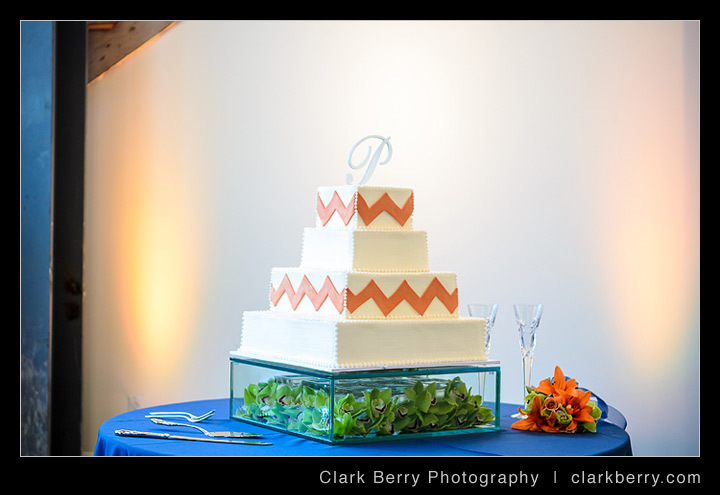 We added orchid blooms to the glass cake stand that held the gorgeous cake made by Parkland Cakes. 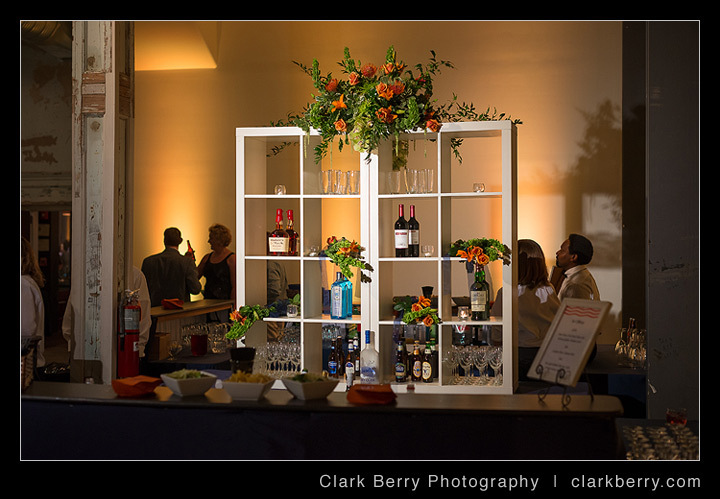 We also made an arrangement to go in the bar area, pieces to hang on the staircase and last but not least we made an arrangement that was attached to a column and served as the centerpiece for the food table. 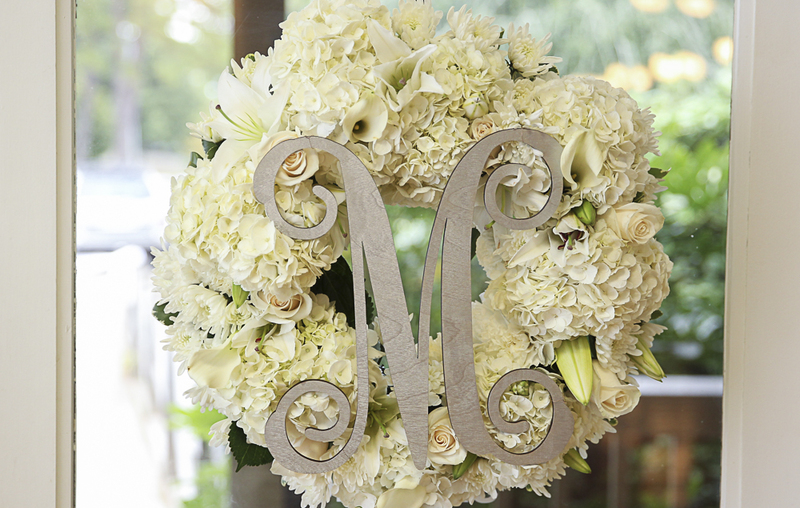 We absolutely loved working with Melanie of By Invitation…Only Event Planning & Design throughout the planning process. 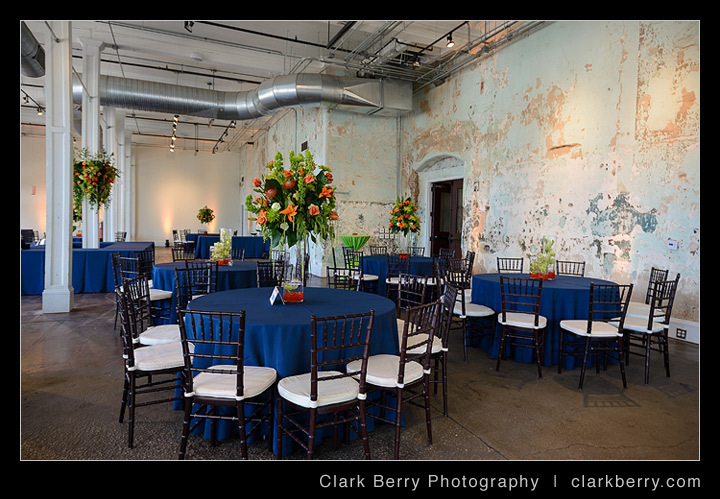 It was so awesome to see everything come together that morning at 701 Whaley. Wow, great teamwork!! 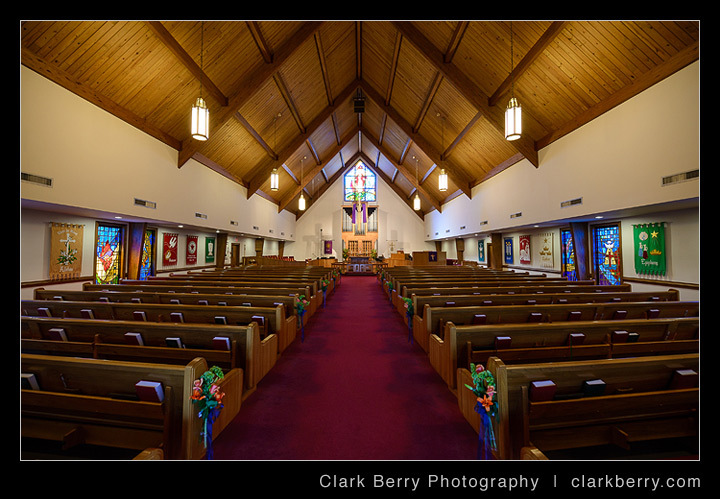 Clark Berry Photography shared so many beautiful images with me and it was really hard to pick just a few but I’ve included most of my favorites! Congratulations again to Leigh and Grant! 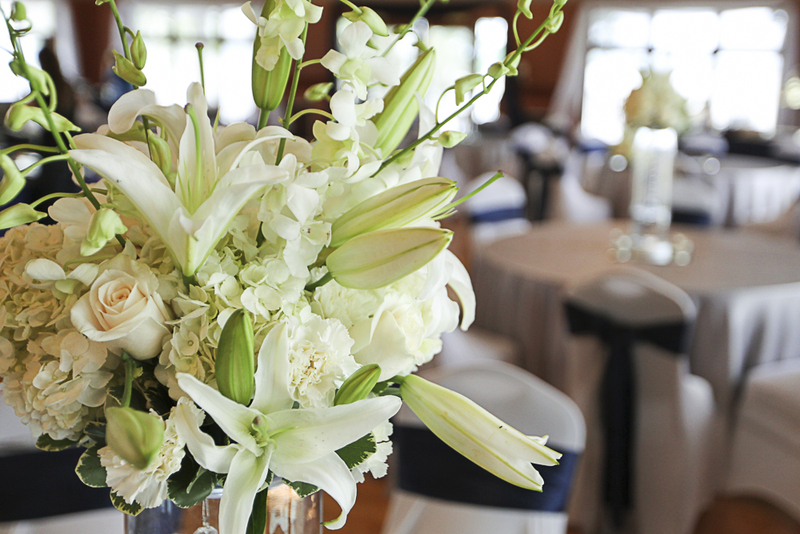 Thank you so much for letting us be a part of your special day! I wanted to share a couple of traditions I have when it comes to our weddings. 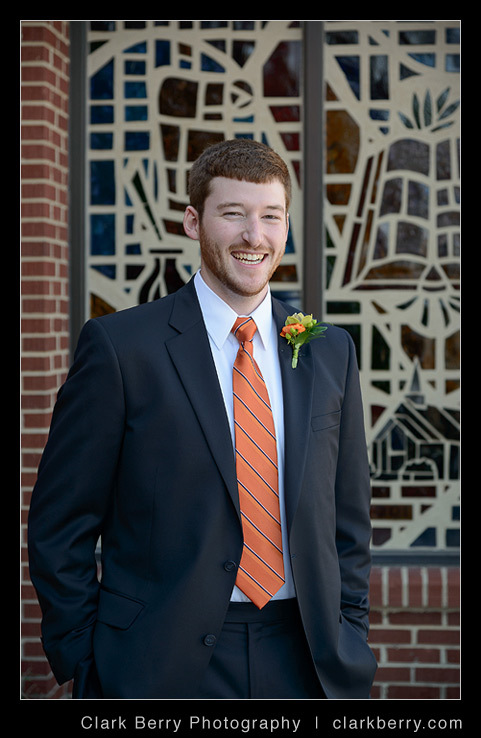 1) When I go to set up a wedding, I like to wear something in the wedding color scheme. I don’t always have something in the right color but when I do, I make sure I coordinate! In case someone takes my picture, it’s nice to blend in. I think I got that idea from a show on HGTV. When the interior designer was showing the completed project to her client, she always wore something that coordinated with the colors of the newly designed room. 2) I also like to wear the necklace that I wore on my own wedding day. 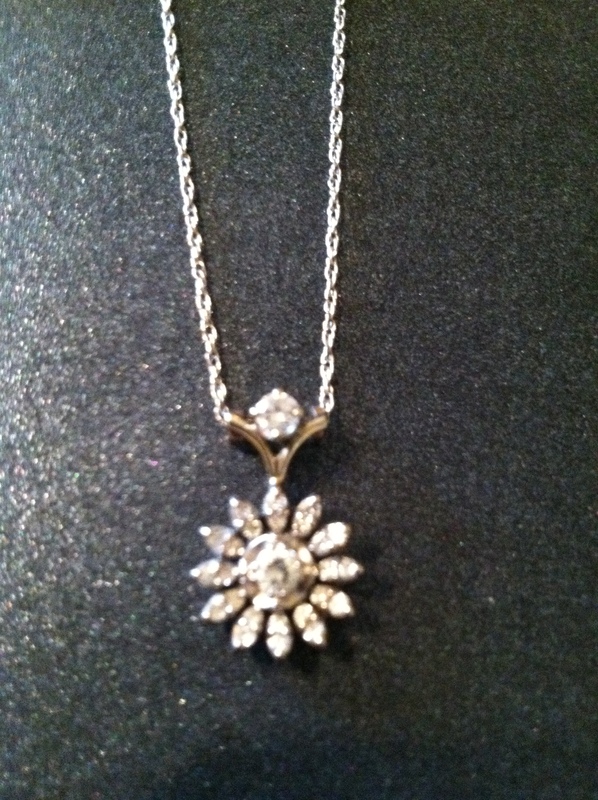 It was my Grandmother’s necklace that she passed on to me as a wedding present. 3) When we deliver the wedding flowers to the ceremony site, my tradition is to hold the bride’s bouquet while we are in route. Of course we are very careful with all of the flowers while they are in transport but the bride’s bouquet gets special treatment and stays in my hands for the trip. I hope you enjoyed reading this. I’m sure I’ll come up with a few more traditions over the years! 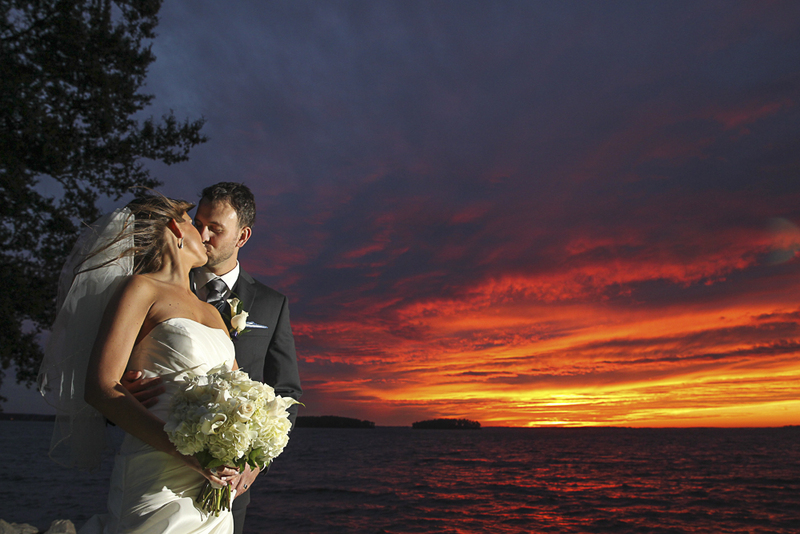 Shannon and Brian were married on Saturday, December 15, 2012. 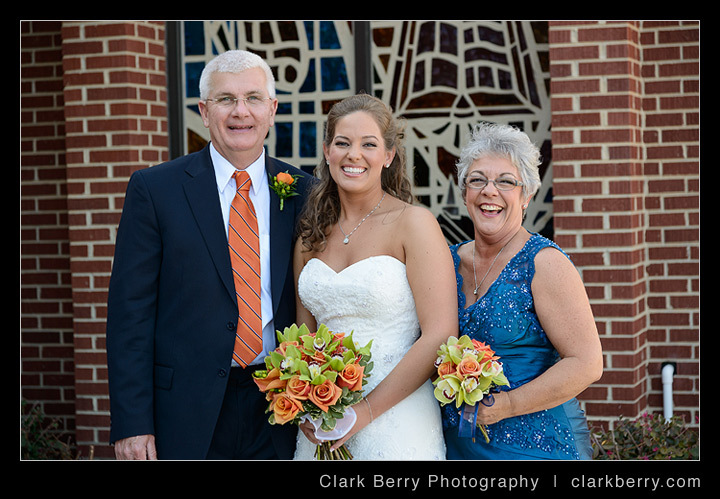 The ceremony took place at Trinity United Methodist Church and the reception was held at Riverbanks Botanical Gardens. I was thrilled to be a part of their “Winter Wonderland” themed wedding, complete with snow, crystals and branches! I have to say the centerpieces were a lot of fun to make! We so enjoyed working with Melanie of By Invitation Only…Event Planning & Design and seeing everything come together for their special day! 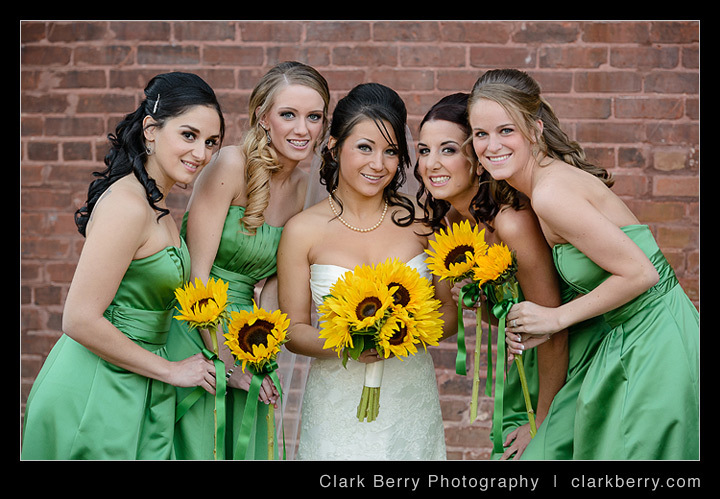 Take a look at some of the great images of the floral details by Clark Berry Photography! 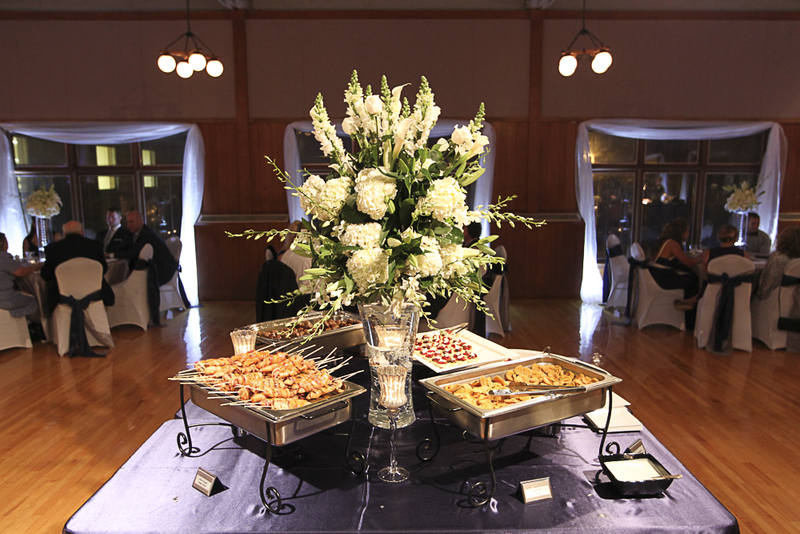 Sweetheart table with Bride’s Bouquet . Love the lighting! The trees Melanie did were fabulous!